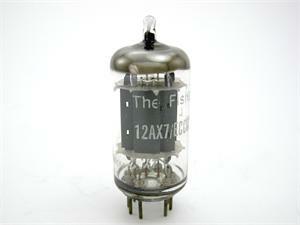 This 1960s Telefunken ECC83 / 12AX7 has smooth gray plates and a diamond imprint on the base. The white print on the glass is labeled for other companies (Fisher, Dynaco, Silvertone, etc) and says "Made in Western Germany" (label may be partial). 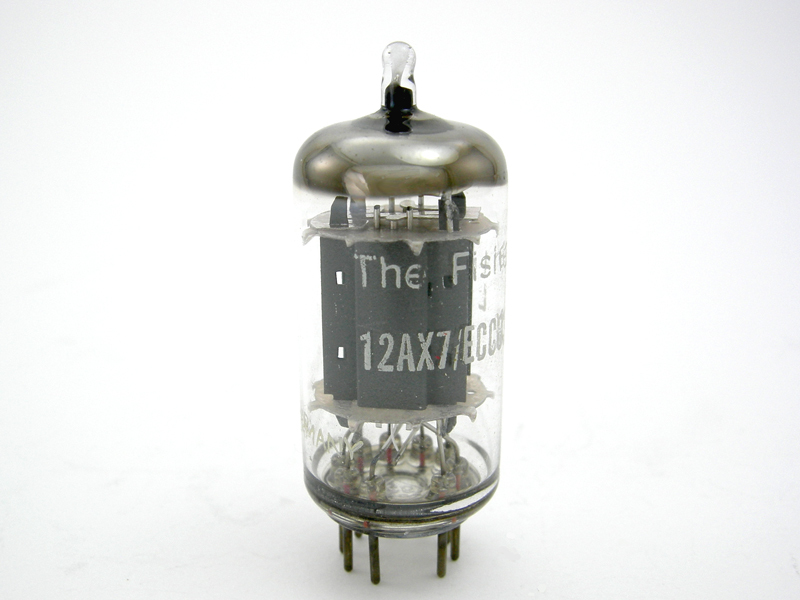 This tube has been screened for gas, heater-cathode leakage, shorts, and excessive noise and microphonics on each triode section. It was tested at typical operating voltages on a laboratory grade Amplitrex AT1000 (manual setting, fixed bias mode). Learn more about our testing process here. See product options for current availability. Tubes that test as "phono grade" are the quietest range for noise and microphonics on our custom noise testing equipment. It is an excellent choice for sensitive applications such as microphone preamps, DA converters, and phono stages. This tube is sold individually. It ships in a new white box with test results for current draw (mA) and transconductance (Gm). Photo is a sample from the lot. Matched sets, when available, are listed as Item 613. The early 1960s Telefunken 12AX7 / ECC83 tubes in this precisely matched pair have ribbed plates and diamond imprints on the bases. Click "more info" for test results and labels options.